By unlearning some emotions and developing others, we gain control of our lives. If this were all there was to it, it would not be a very interesting book, but Emotional Intelligence is one of most successful self-help tomes of the last 20 years, and has reached well beyond what would normally be considered a traditional self-help reading audience. Researchers had been expanding our idea of what intelligence is for some time, but it took Goleman's book to catapult the idea of emotional intelligence into the mainstream. In saying that IQ is not a particularly good predictor of achievement, that it is only one of many 'intelligences', and that emotional skills are statistically more important in life success, Emotional Intelligence was bound to be well-received. Following is a breakdown of the book and some of its key points. In looking at the way the brain is wired, the book removes some of the mystery from our feelings, particularly the compulsive ones. The physiology of our brains is a hangover from ancient times when physical survival was everything. This brain structure was designed for 'acting before thinking', useful when in the path of a flying spear or in an encounter with an angry mammoth. We are people walking around in the 21st century with the brains of cave-dwellers, and Goleman tells us about the 'emotional hijackings' that can trigger spur of the moment murder, even of a longstanding spouse. Parts Two and Three go into the elements of emotional intelligence and its application in real life. As Goleman emphasizes, the problem is not the emotions per se, but their appropriate use in given situations. He quotes Aristotle: 'Anyone can become angry - that is easy. But to be angry with the right person, to the right degree, at the right time, for the right purpose, and in the right way - this is not easy.' Aristotle's challenge becomes all the more important in a technologically advanced world, because the meaning of 'civilization' ceases to be technological, defaulting back to the nature of man and the quest for self-control. Part Three applies the lessons of emotional intelligence to intimate relationships, work and health. The relationships chapter alone is worth more than many entire books on the subject, intricately describing the neuroscience behind the Martian and Venusian worlds of the sexes. In making the link between emotional life and ethics, Goleman notes that if a person cannot control their impulsiveness, damage will be done to their deepest sense of self; control of impulse "...is the base of will and character" he says. Compassion, that other benchmark of character, is enabled by the ability to appreciate what others are feeling and thinking. These two elements are basic to emotional intelligence, and therefore basic attributes of the moral person. Other major qualities of emotional intelligence are persistence and the ability to motivate oneself. These are not emotions per se but require self-control and the ability to put negative emotions and experiences into context. Goleman validates 'the power of positive thinking' as a scientifically proven approach to achieving success, and says an optimistic outlook is a key clinical predictor of actual performance, borrowing from research done by Martin Seligman (see Learned Optimism). The obsession with IQ was a product of the 20th century's model of mechanistic achievement; EQ, in its focus on empathic people skills and relationships, is a basic success element in a more fluid and creative 21st century economy. Goleman's work has had a significant impact on the workplace and business world. Though he only devotes one chapter to management, it is clear that the concept of emotional intelligence has struck a nerve with workers angry or hurt by the low emotional capacities of their bosses. Similarly, it has shined a light for many bosses and team leaders who wonder what they can do to improve maddeningly poor performance. As you suddenly see that half your organization is emotionally stupid, your standards will inevitably rise. One fascinating chapter 'When smart is dumb', puts IQ in its place amongst several other types of intelligence. As everyone who has worked in an office environment will know, you may be producing the most exciting product around, but it will still be a miserable place to work if it is also an arena for the clash of egos. Business success is the result of passion for a vision or a product. Though big egos are often associated with such success, better companies are notable for their ability to create harmony and excitement by focusing on the product or the vision, not the organization. These ideas are further spelled out in the spin-off Working With Emotional Intelligence. Emotional Intelligence has its roots in the concept 'emotional literacy', and in the final part of the book Goleman expounds on the need for EQ skills to become part of school curricula. With facts and figures he has no trouble convincing us of the high costs - monetary and societal well-being - of not teaching children how to deal with their emotions constructively and resolve conflict. 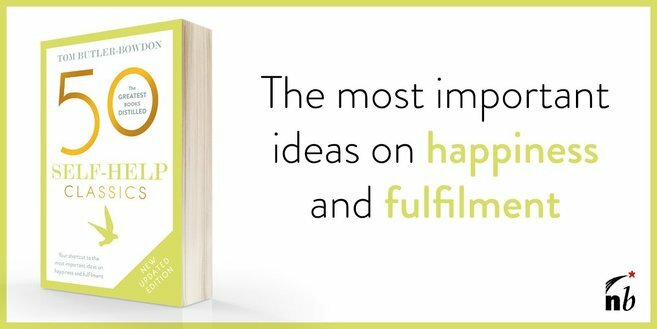 Part of Goleman's motivation in writing Emotional Intelligence was the thought of millions of readers relying on self-help books which 'lacked scientific basis', and indeed the book comes out of an impeccable academic and research milieu. Goleman appears to know all the key people in the field, notably Harvard intelligence researcher Howard Gardner, New York University's Joseph LeDoux, and Yale's Peter Salovey, who first provided the concept of emotional intelligence. Yet this Emotional Intelligence a self-help book in the classic mould. Pointing to the extraordinarily malleable circuitry of the brain, and our ability to shape the experience of our emotions, one of his great points is that 'temperament is not destiny'. We are not beholden to our habits of mind and emotion, even if they seem like an unchangeable part of us. The most alluring implication of Emotional Intelligence is that greater awareness and control of our emotions on a large scale would mean an evolution of the species. We believe that hate, rage, jealousy, etc. are 'only human', but when we look at the finest human beings of this century - the Ghandis, the Martin Luther Kings, the Mother Teresas - we find such negative emotions were remarkably absent. These people were able to express anger according to Aristotle's dictum - they could use their emotions instead of letting their emotions use them. What could be a better definition of civility or humanity? "I have had to wait till now before the scientific harvest was full enough to write this book. These insights are so late in coming largely because the place of feeling in mental life has been surprisingly slighted by research over the years, leaving the emotions a largely unexplored continent for scientific psychology... Now science is finally able to speak with authority to these urgent and perplexing questions of the psyche at its most irrational, to map with some precision the human heart." Goleman grew up in Stockton, California. He received a doctorate in psychology from Harvard University, where he has also taught. For 12 years he wrote a column for The New York Times in the behavioural and brain sciences. He has also been the senior editor at Psychology Today. Focus: The Hidden Driver of Excellence (2013). Emotional Intelligence has been translated into 33 languages, Working With Emotional Intelligence into 26.